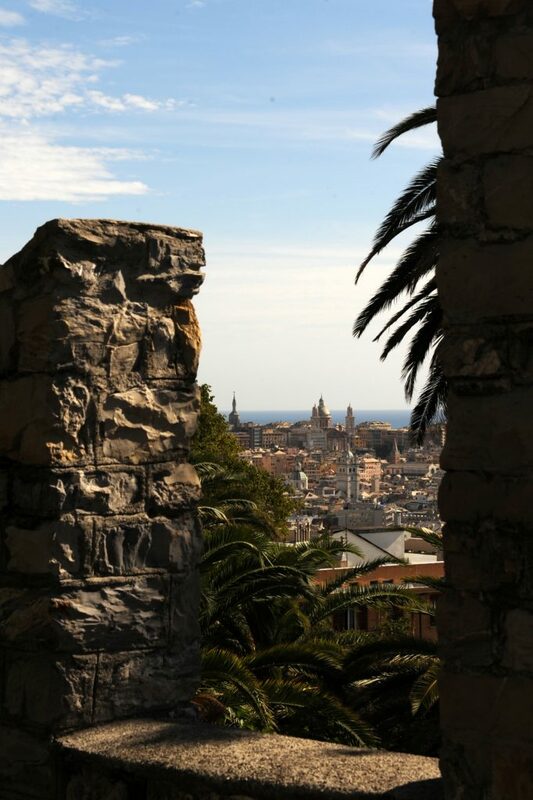 Genoa is the center of Liguria region, located in the middle of Genoa Gulf which looks at south from north-west Italy. Because of it’s highly rich arts, music, gastronomy, architecture and historical features, the city became Cultural Capital of Europe in 2004. It’s where the famous explorer Christoph Coloumb was born and this historical city was capital of Genoa State. Because of the historical connection between Beyoğlu (İstanbul), these two places has been declared sister cities. Genoese’s had sea trade controlled since 10th century in Meditterrian Sea, Agea and Blacksea regions. Amasra, Sinop, Samsun and İstanbul Karaköy was Geoese colonies in that time. Galata tower is also a Genoese buildin. Genoa is a metropolis which faces with sea but at the same time, the city is a trade city with very intensive traffics of arts and businness. In Genoa’s historic hearth, Europe’s the biggest medival center lies. An old neighborhood, Caruggi is a group of stone buildings linked together with little streets and avenues. Modern life starts in a couple steps away with whole those chaos and rumble. Multicultural soul with historical consciousness is what today’s Genoa is. Surrounded with mountanious lands, we see Genoa after a meandering road with tunnels, bridges, viaducts for transportation. The city is located in a sea side strip which apperas within sea and mountains. The city has been growing through mountains. Streets are linked together with squares, and there are astone archs over sidewalks. That’s an architectural solution for rain and sun since Rome and does great for Genoa’s identity. All the must-see venues and entertaining places are close to the historical heart of the city. 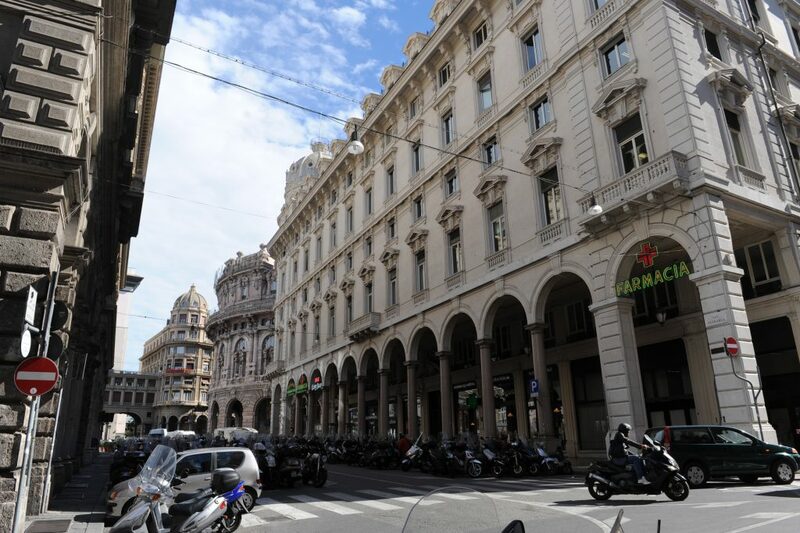 Piazza de Ferrari, Ferrari Square is where historical and modern Genoa unites. Significant buildings surrounds the fountain pool. 20th of September and Dante avenious are important for shopping. We go west and we reach San Lorenzo Cathedral and Square. Construction of this gothic masterpiece has been finishen in 17th century and it fills that little square with it’s size and glamour. You can choose any of the streets from the square, a walk in the medival athmosphere takes us to history. The city is ornamented with marvelous buildings because of it’s center point location for trade and economy. Streets are very narrow and because of that, ther’re motorcycles everywhere. Without chaing our direction, we go further to west and see the old harbor, Porto Antico. The most interesting building here is San Girgio Palace, which stands distinct from the others and alone. Builded in 1260, tihs palace is like a giant bibelot with it’s luxuriant look. The most famous guest was Venetian traveller Marco Polo. He road his memoir, while he was exhiled in this place. The old harbor was renewed in 1995 and designed as an event venue wich helds a lot of joyful events. It attracts everyone from locals to tourists. Europe’s second biggest aquarium is also here. With different places to discover cultural tastes, open air event halls, othantic wine houses, restaurants, botiques, the old harbor is a place to spend some time. A replica of Galeone Neptune anchored and hepls us to imagine giant ships of old times. This replica used as a set in Roman Polanski’s The Pirates. Streets that surround old harbor are full of seafood restaurants and they’re are only open at noon. 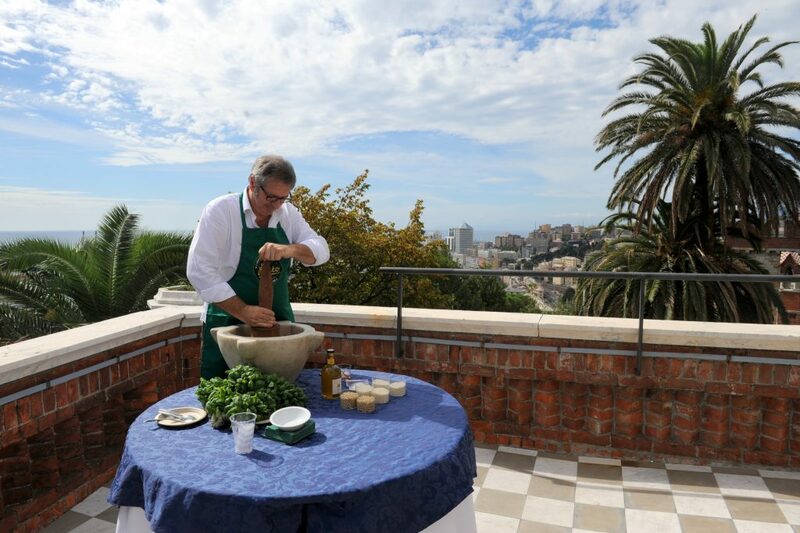 Pesto sauce has an important place in Genoa couisine. Genoese people say this pizza and pasta sauce spreaded to country from Genoa. Pesto means crushed, milled in Italian. Sauce contains basil leaves, Parmesan chesee, pine nuts, garlic, salt and olive oil. 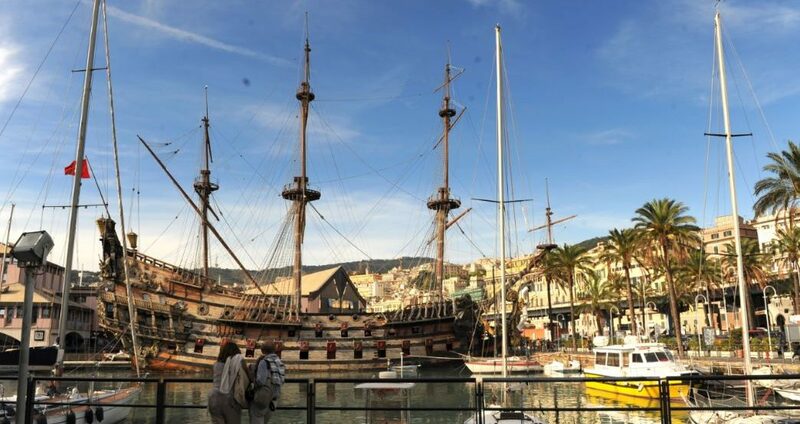 Because of the Genoa’s colorful historiy of seamenship and trading, Marine Museum, Ethnographia Museum, Strada Nuova, Villa Croce, Wolfson and modern arts museums, Doria Museum of Nature are great places to see. In his 2008 dated movie, Genoa, Michael Winterbottom tells a story about two wounded hearts who came to Genoa to heal themselves after a great accident. With Colin Firth, Genoa shares the leading part. With it’s streets, uncanny athmosphere and othantic structre, Genoa effects the wievers deeply. Winterbottom’s camera dives into the back streets and presents us the city as a caotic decor. I observe Genoa’s proud soul which comes from medial. In the past, Genoa was equal to Venice and even a competitor and has a medival town center like the others. While we wine and dine on the wooden tables over stone sidewalks, motorcyclers go and horse riders come from our imaginations. Once piazzas were grain markets, now they’re full of flower benches. When the leaving time comes we faced a feeling about not discovering the city enough. Who thought this maritime city which has history, science, arts, food and drinks culture layer bu layer needs more time.